Indoor Skydiving Source may receieve a commission for bookings. Flyers must be at least 3 years old. Flyers must be less than 300 lbs. Flyers over 260 lbs must contact the facility before flying. 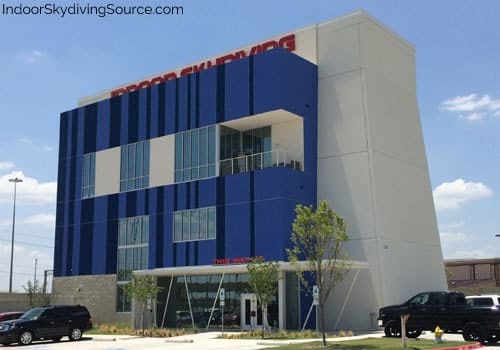 iFLY Dallas is a 14 foot recirculating wind tunnel located in Frisco, Texas. The tunnel is located in the Stonebriar Centre, right next to the Stonebriar Mall. Average rating of 4.7 from 3 review(s). Incredible experience!! Lauren Fuller was an amazing instructor!! Patient and thorough!!! 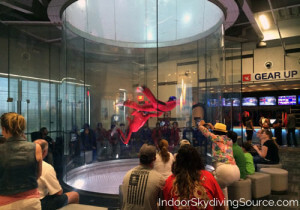 Thank you Ifly Dallas!! I purchased i flight experience via groupon for May 17, 2017 as my birthday gift. The offer included a video of my flight. I never recieved the video. I then purchased the video via the Ifly website and paid 10.72 for it. They sent me an email to download it but I have not been able to download it. I have called twice and emailed twice to no avail. Still to this date I have not been able to download my video. The link takes me to a blue screen and there is not button to click to view my video. I am very dissapointed.